South America is rich with a tangle of unique cultures, varied landscapes, and rewarding destinations. Despite many millions of tourists visiting the continent each year, however, Bolivia still remains a hardly-touched destination off the well-worn tourist path. For travelers looking to see a lesser-visited (yet equally remarkable) destination in South America, consider traveling to the underrated Andean country of Bolivia. What you’ll see will make you wonder how it remains a lesser-traveled spot, and for just how much longer that can last. Here is the best of Bolivia: the stunning nature, bustling cities, and ancient cultures that intrigued 1.2 million visitors in 2015, and will likely pull in even more in 2016. The Bolivian Amazon may rest more than a thousand kilometers from the flow of the Amazon River itself, but the piece of the Amazon Rainforest that lies within Bolivia’s borders is some of the best you’ll find. Largely untouched, the Bolivian Amazon boasts a well-preserved natural environment with all of the nature and none of the tourists. Here reside jaguars, tapirs, giant anteaters, and a flurry of exotic birds flying through the lush rainforest canopy. 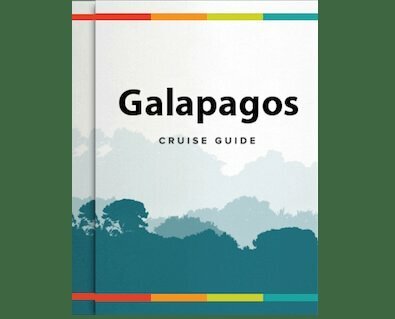 Caimans and turtles lounge along the shores of the water as piranhas and pink dolphins swim past, the sounds of the wild poking through the tranquil jungle air. The best way to explore the Bolivian Amazon is by cruising along the Amazonian tributaries, with routes that embark from the lively, tropical city of Trinidad, Bolivia. Cruises here explore several rivers: the Rio Mamore and Rio Ibare. Once one of the great waterways of the Amazon, the mighty Mamore still sees a good amount of activity, which gives visitors a fascinating glimpse at local life. Hollowed-out canoes, barges, and double-decker river boats glide along its waters, delivering supplies to isolated communities, sending cargo downstream to Brazil, or picking up produce. Traveling amongst these vessels on a classic cruise riverboat is one of the quintessential Amazon experiences, letting you explore the Bolivian Amazon up close and personal. Just around the Mamore you’ll find the Llanos de Moxos region, the southernmost extension of the Amazon basin. Sail past the tessellating vegetation and humid savannas of this riverfront plain, lined with several forest communities that are home to diverse wildlife. The Amazon is easily one of the best destinations in Bolivia, and representative of the untouched nature and opportunities for authentic experiences in the country. Perhaps Bolivia’s most photogenic destination, Salar de Uyuni is dreamy, in a word. These massive plains of salt are easily recognizable by the beautiful contrast of the deep blue sky and bright white ground, stretching infinitely in every direction. The cracks in the salt form in the shape of hexagons, naturally perfect in form. Most impressive is when the ground floods in the rainy season, constantly maintaining just a couple of inches of water above the salt. The water turns the salt flats into a massive mirror, reflecting the far off mountains and perfect sky, and the thin wet layer makes it appear as if visitors are walking on water. Spend a day sailing across the salty stretch of land in an old Jeep, visit Cactus Island still standing in the middle, and walk on water as the sun sets in a hundred hues or pink, purple and blue. Those with more time should spend several days driving deeper into Uyuni’s impressive desert to be rewarded with flamingos, mountains, multi-colored lakes, and the best desert scenery you’ll find in all of Bolivia. Sharing a blurry border with Chile’s infamous San Pedro de Atacama desert, Salar de Uyuni is accessible at a fraction of the cost. If the dramatic landscape hasn’t sold you, the chance to see it in a much lesser-visited location will. Bolivia’s de facto capital city, La Paz is a unique metropolis when compared to other major South American cities. Nestled high in the Andes, the chaotic tumble of terracotta pours down the hillsides, the classic downtown pooling in the center. The ominous Mount Illimani volcano perches on one side of the city, the highland residences of the El Alto neighborhood on another, and the popular cable car (teleferico) strings over it all to give from above. Wander the hilly cobblestoned roads with a guide, stopping by sights such as the San Francisco Church, guard-less San Pedro Prison, or historic government palace, and learn about their roles in Bolivia’s complicated past. Explore local haunts by climbing through the winding alleys of the eerie Witch Market, the local go-to for love potions or offerings to Pachamama (Mother Earth), or barter with Bolivia’s beloved cholitas selling over 7,000 varieties of potatoes at the Mercado Rodriguez. Those interested in shopping handicrafts will be more than satisfied in La Paz, where radiant Andean goods are sold on every corner for significantly less than they can be found for in neighboring countries (perfect for stocking up on souvenirs!). An up-and-coming destination in South America, La Paz is a fascinating spot to visit, and is home to many of Bolivia’s best tourist sites. An idyllic destination, Lake Titicaca lies on the border of Peru and Bolivia with two of the lake’s main destinations resting within the Bolivian borders: Copacabana and Isla del Sol. Copacabana is the town on the beautiful shores of the awe-inspiring lake, the gateway for travelers to embark on a traditional boat ride across this massive expanse of water. Sail past floating villages, ride the gentle waves in woven reed boats, and observe life as it’s been for decades. Those with time should sail towards the middle if the lake, where you can lose complete sight of the shore on Isla del Sol. Hiking trails weave across the island, through the swaying yellow reeds that stand out against the blue water below. Spend a night on the island in a charming bungalow and don’t miss the impossibly brilliant stars dancing over the island each night. In Bolivia, you’ll find enchanting cultures new and old, living in peaceful harmony with the untouched natural landscape. From the white plains of Salar de Uyuni to the exotic greens and blue of the Amazon rainforest to the red-tiled roofs cascading through the Andes in La Paz, the best of Bolivia is waiting for you to discover it. Contact Us for more information about traveling to Bolivia.